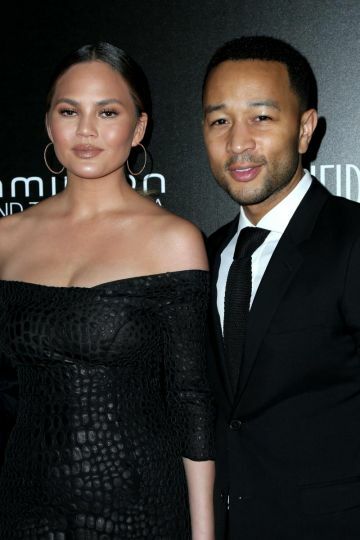 John Legend and Chrissy Teigen have been very open about the difficulties they faced when trying to get pregnant—and their comments are incredibly important. John Legend and Chrissy Teigen are always refreshingly candid. That's one of the many reasons their fans love them so much—but it's not just about their willingness to talk about the time they got frisky at the White House. The couple has been remarkably open about the difficulties they've faced while trying to conceive: Chrissy shared that the couple tried for a long time before she got pregnant with their baby girl, admitted to undergoing IVF treatments, and explained her decision to choose her baby's gender. These facts aren't just interesting because they give fans a little glimpse into the private lives of a celebrity couple: They matter because so, so many couples out there are grappling with the very same struggle. For regular couples who are dealing with infertility, hearing that this beautiful, wealthy, happy couple has been there too may help them realize that they're not the only ones facing what often feels like an impossible battle. Despite the fact they now have a healthy, gorgeous baby girl—the couple welcomed baby Luna in April—John is still willing to discuss the realities of infertility: Most recently, he spoke out and admitted he and Chrissy went to see their doctor after years of trying to no avail. The couple's doctor couldn't identify a reason for their inability to conceive naturally—which is something many couples can relate to, as unexplained infertility is all too common. And unexplained infertility can be incredibly frustrating, especially when you have friends and fans constantly asking when you'll be having kids. John and Chrissy hope to have a few more kids, and we can only hope to hear more real talk from them as they expand their brood.